The Washington State Patrol (WSP) issued a news release Tuesday that highlighted the general risks of injury and death related to speeding in Washington state. Noting data published by the National Highway Traffic Administration (NHTSA), the WSP believes that speeding is the leading cause of fatalities in auto collisions in the state and is working to spread awareness about these risks as an incentive to be more cautious about speeding. Speeding still remains one of the leading causes of deaths in motor vehicle collisions, according to the WSP. In 2012, 437 people died in car accidents throughout the state of Washington, while 159 of those fatalities involved speeding. Unfortunately from a nationwide perspective, one third of fatalities in traffic accidents throughout the U.S. are speed-related – nearly identical to the rate in the state of Washington. "Speeding deaths are entirely preventable," said WSP Chief John R. Batiste. "They result from the decision to speed. That decision creates risk for not only the speeding driver, but everyone else on the road with them." The NHTSA published the alarming results of a recently-held survey with a group of drivers. Participants generally agreed they would benefit from slowing down while driving, but 91% of the group in the study also admitted to speeding without even knowing it. 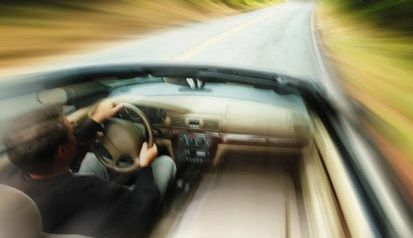 Most drivers that speed do it subconsciously, the study’s authors determined, and often blame being in a hurry as an excuse for the offense. Most participants stated that the primary reason for their speeding was being late to an appointment or other event. Speaking about the results of the study, U.S. Transportation Secretary Anthony Foxx said, "We all have places we need to go, but it's never the right decision to put ourselves, our families, and others in harm's way to get there faster." As practical advice for drivers, leaving ten to fifteen minutes earlier than usual could significantly reduce the chances of an auto collision. In general, people should plan ahead and be prepared for traffic and be more aware of their surrounds to lessen the likelihood of a collision. "Just leave earlier," Chief Batiste said. "There’s no point in arriving at a play, or ball game, or other fun event all stressed out from traffic. If you speed, you put yourself at risk of not arriving at all."